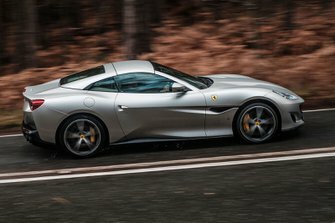 Ferrari Portofino Performance, Engine, Ride, Handling | What Car? 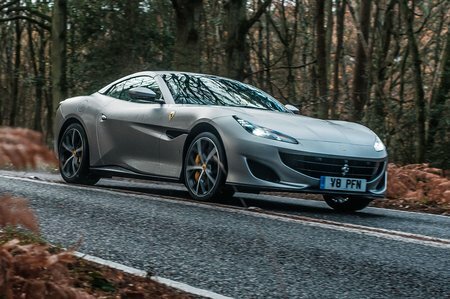 Let’s get one thing straight, the Portofino may be nowhere near the fastest Ferrari you can buy, but you’ll still rarely come anywhere near using all its performance on the road. Even if you do find a straight bit of lightly trafficked road – a real rarity in most of the UK – you can only enjoy a few short seconds of pedal to the metal driving before your driving licence begins to sweat profusely. For all but the most adrenaline-fuelled speed junkie, the Portofino is honestly quite fast enough. Even more impressive than its ability to double, or even triple, your speed before you can say ‘I’m awfully sorry officer, please don't put me in the back of your car’, is how much traction the Portofino finds in the dry. Unlike the Continental GT and 911 Cabrio, there’s no four-wheel drive system standard or optional, yet the Portofino requires very little help from its traction control when deploying a big slug of horsepower to the rear tyres. That’s even the case when exiting a corner briskly, for which we can thank its clever electronically controlled limited slip differential. As a result, the Portofino feel surprisingly unintimidating to drive fast, even with the electronic aids slackened in Sport mode. 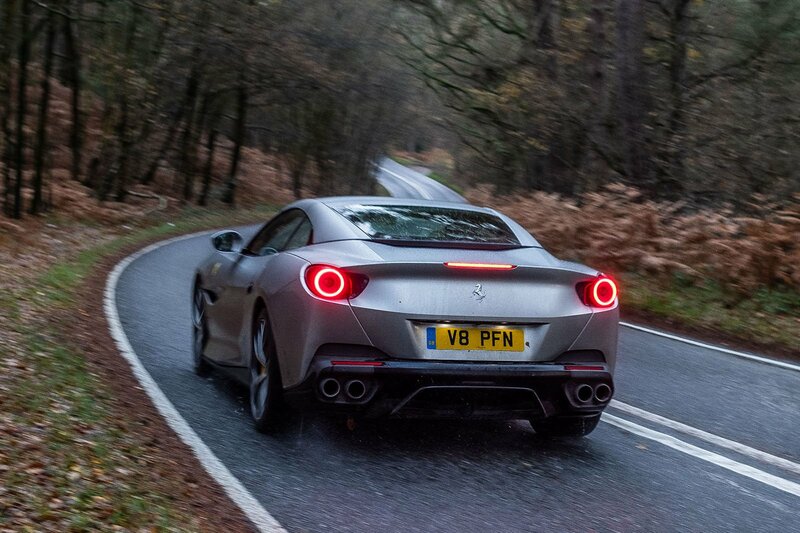 The most committed cornering reveals that it’ll wash wide at the front first, but follow through with aggressive application of the accelerator and you’re back on your line in an instant, ready to fire the Ferrari out of the bend. Just remember; with all that power, a clumsy right foot will make the Portofino wag its tail abruptly, especially on moist roads. Thankfully the steering is fast, precise and provides a great sense of connection to the front tyres. The only downside is that you have to be very gentle with it on the motorway – even small steering inputs have the nose darting from white line to white line, making it tricky to stay in lane if you don’t keep things in check. That leads us nicely onto what really separates it from the competition. While you can settle back in a DB11, Continental GT and even a 911, the Portofino always feels like it wants to go fast and is quick to remind you of that, with a sporty, uneven idle that pulses through the car as soon as you thumb the steering wheel-mounted starter button. Such excitable behaviour isn’t always what you want, though; yes, the engine smoothes out on the move, but you’ll find slow-speed manoeuvring more fraught than it should be, due to the gearbox’s unwillingness to engage a gear without a surprising amount of pressure on the accelerator pedal. That’s not much fun when you’re trying to delicately parallel park your six-figure car between a couple of other vehicles. Our test car had optional adaptive dampers fitted, but, even in their softest setting, you feel far more of the road’s surface than you would in most rivals. Still, progress never feels truly uncomfortable thanks to excellent body control and enough engineered-in suppleness to take the edge off nasty ruts and bumps. We’d certainly have no objection to hot-footing it down to the South of France in one given the opportunity, and besides; who wants or expects a Ferrari to ride like a luxury limo?